My last kolam of 2016..
With lots of errors and uncertainty, this is how it turned out to be !!! So do you mean to say we should go forward even if there are lot of errors and uncertainties. Yes... Because you never know... the errors and uncertainties might help you gain something more beautiful than you ever imagined! I so want to learn this, could you write something about it here? Sure... 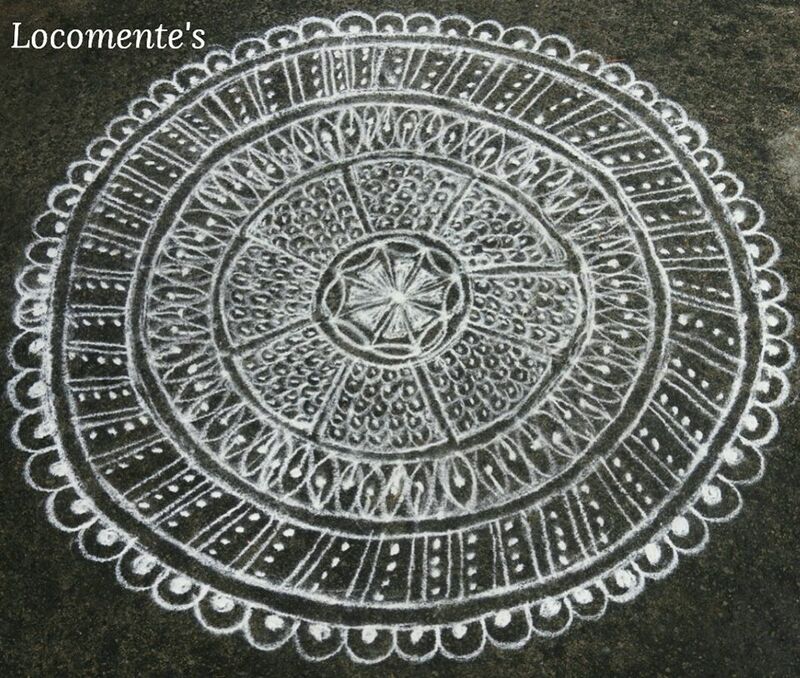 It's made of kolam/Rangoli powder... Slightly mixed with rice powder to get that bright white color... 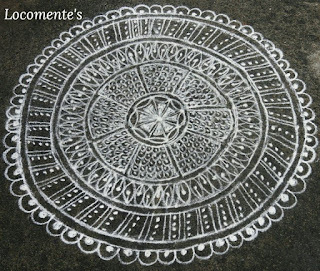 It's a free hand design... Made on flat surface (in the given case, courtyard of my house)... I could try uploading a video on this... Maybe I shall make one using pen and paper... But may not be possible as I make on courtyard cz there is no way I could take a video ... But I can surely make some simple ones for beginners... :) I am so delighted to see your interest!!! Uncertainty has turned to certainty.Good.Nice design.